ASADA has lost its bid to compel Shane Charter and Nima Alavi to appear before the AFL Anti-Doping Tribunal, with the Supreme Court ruling on Friday morning that it would not issue subpoenas against the key witnesses. ASADA applied for the subpoenas on the basis that sports scientist Charter and compound pharmacist Alavi were relevant witnesses to its anti-doping case against 34 past and present Essendon players. The anti-doping authority's barrister, Dan Star, had argued over the past two days that the AFL was bound in a three-way commercial relationship with its clubs and players and that the Anti-Doping Tribunal was properly categorised as an arbitration, giving the Court the power to issue subpoenas against Charter and Alavi under the Commercial Arbitration Act. 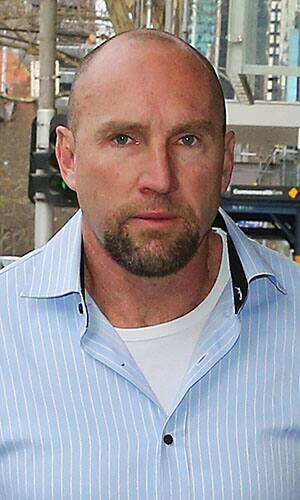 However on Friday morning Justice Croft ruled against ASADA's application on two alternative bases. First, his Honour found that the "proceedings before the AFL Anti-Doping Tribunal are not properly categorised as arbitration proceedings". In the event that finding was later found to be incorrect, Justice Croft also found: the Anti-Doping Tribunal proceedings were "not properly classified as commercial arbitration proceedings to which the Commercial Arbitration Act applies"; and the ASADA Act contained no express provisions for arbitration proceedings governed by the Commercial Arbitration Act. His Honour also awarded legal costs against ASADA. Justice Croft's decision is a blow to ASADA's case against the 34 players, which is set to commence in the AFL Anti-Doping Tribunal on Monday. ASADA released a statement on Friday saying its intention throughout the Essendon saga had always been to "present the best evidence possible" before the AFL Anti-Doping Tribunal. "Ideally, this would include firsthand testimony delivered in person by all witnesses," the statement read. "ASADA has done everything within its power, including the bid to the Victorian Supreme Court, to get these witnesses physically before the tribunal. "Unfortunately, the AFL Anti-Doping Tribunal does not have the power to compel certain witnesses who do not wish to attend and give evidence in person. "On this basis, ASADA will tender to the tribunal written and recorded evidence previously gathered from those witnesses." Star said this week that ASADA's case against the players was essentially that: Charter had sourced the raw materials for the peptide Thymosin Beta 4; Alavi had compounded those materials into an injectable form of Thymosin Beta 4; and sports scientist Stephen Dank had supervised the injection of the banned peptide into the players. The Anti-Doping Tribunal will sit on Monday, Wednesday and Friday next week and then resume on January 12. Star said it was unlikely ASADA would call any witnesses before Christmas.